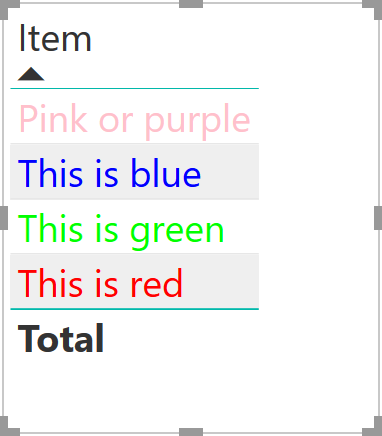 In August 2018, a new type of conditional formatting has been added to Power BI: by field value. In this blog post I’m explaining how it works. 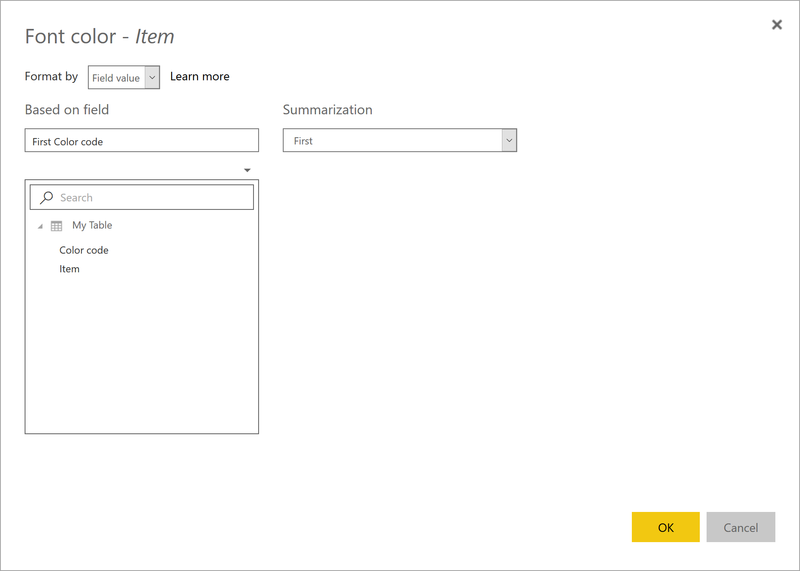 This feature is already available in Power BI service and is coming to Power BI Desktop in the next release. How is conditional formatting by field value different? 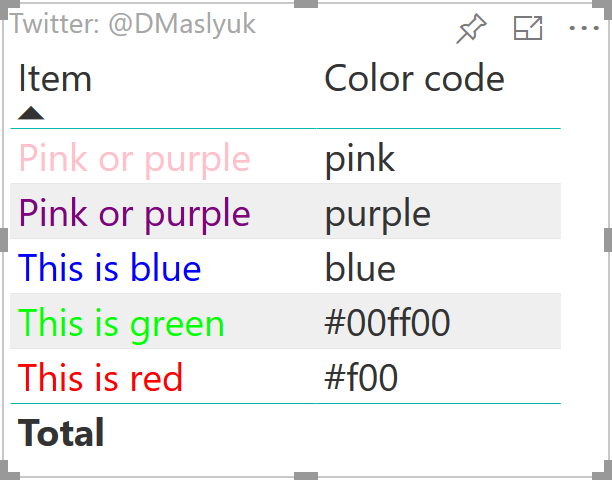 You can use color code values from the data model itself! 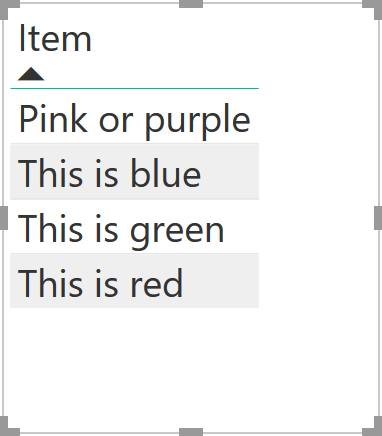 The summarization selection matters when there is more than one color for an item, like for Pink or purple in our example. If we chose “Last” as summarization, the top item would be colored purple.